How to copy or convert DVD - The Godfather with Any DVD Cloner Platinum? The Godfather was firstly released in 1972 and startting by Marlon Brando, Al Pacino, James Caan. It tells a story about the aging patriarch of an organized crime dynasty transfers control of his clandestine empire to his reluctant son. 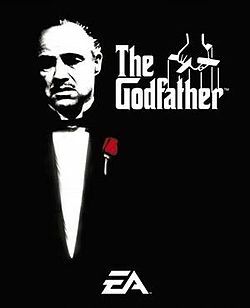 The Godfather: Part II was released in 1974 with a different story about: the early life and career of Vito Corleone in 1920s New York is portrayed while his son, Michael, expands and tightens his grip on his crime syndicate stretching from Lake Tahoe, Nevada to pre-revolution 1958 Cuba. The Godfather: Part III was released in 1990 and starring by Al Pacino, Diane Keaton, Talia Shire. It was the final instalment of the Godfather Trilogy. The Godfather movies are the top two and the top three movies voted in IMDb Top 250 Movies Voted by users. You also can read another article for a list of 100 classic movies you should not miss. The Godfather DVD collections were released in 2001 and it is still for sale on Amazon. Which is your most favorite one among three? No doubt that the first one is most classic while the other two are still very interesting otherwise they would not be ranked in top positions after so many years passed. Why Any DVD Cloner Platinum for copying or converting DVD The Godfather movies? Any DVD Cloner Platinum is a all-featured program for DVD copy and DVD to video conversion. Supports removing protections or region codes, and creates DVD copies for playback on all DVD players from different countries and regions with various region codes. Making DVD copies in such a simple way, why not choosing Any DVD Cloner Platinum for classic The Godfather? How to copy DVD The Godfather movies with all-in-one DVD cloner? 1) Insert The Godfather DVD into to your DVD drive. 3) Choose a proper copy mode: Full Disc, Main Movie, Customize or Clone. 4) Press "Start" to begin. How to convert The Godfather DVD movies to videos for mobile devices? 1) Launch Any DVD Cloner Platinum and insert The Godfather DVD in to your DVD drive. 2) Go to "DVD Ripper" panel and choose your mobile device among the list. Please select "Normal" if your device is not an option in the list. 3) Make sure choose the supported video format by confirming in "Output Format". Note: Any DVD Cloner Platinum can decrypt DVD independently, don't run other decrypter when using Any DVD Cloner Platinum. What Any DVD Cloner Platinum can complete for you for The Godfather DVDs as well as other protected DVD movies? Lumia 920, Blackberry Z10, Samsung Galaxy S4, Huawei Ascend D2 or Huawei Ascend Mate, etc.